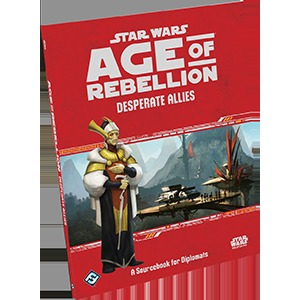 Use your words to fight for freedom with Desperate Allies, a sourcebook for Diplomats in the Star Wars®: Age of Rebellion™ Roleplaying Game. 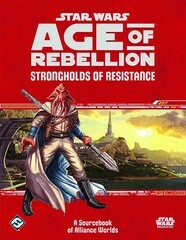 War is one of the major themes of Age of Rebellion, but without Diplomats to spread hope and convert new systems to the cause, war is just meaningless bloodshed. 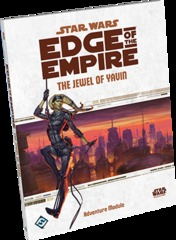 With this career supplement, you can join in tense negotiations, make last-minute deals, and keep the flame of freedom alight in a galaxy overwhelmed by fear of the Empire. 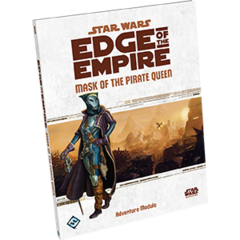 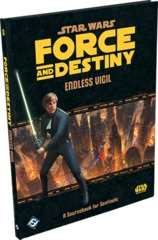 In this book, you’ll find three new playable species – Caamasi, Neimoidian, and Gossam – as well as three new specializations for Diplomats: Advocate, Analyst, and Propagandist. 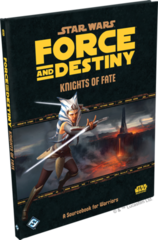 You’ll also find plenty of items and vehicles to ensure your Diplomats are completely outfitted for whatever dangers they may face in the service of the Alliance to Restore the Republic. 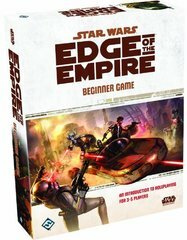 Finally, Desperate Allies introduces rules for creating Rebel bases, allowing you to enrich your campaign with any kind of base.